One of America's oldest retailers is among the first to deploy Apple's iBeacons as Macy's has begun a pilot program with the state-of-the-art Bluetooth-based microlocation system. The 155-year-old department store chain has partnered with Redwood City, Calif.-based Shopkick to install iBeacons transmitters— called shopBeacons— throughout the chain's flagship Midtown Manhattan and San Francisco locations, reports GigaOm. Shopkick's technology will allow Macy's to track shoppers' movements throughout the stores, serving up different offers based on the floor or department the customer is in. 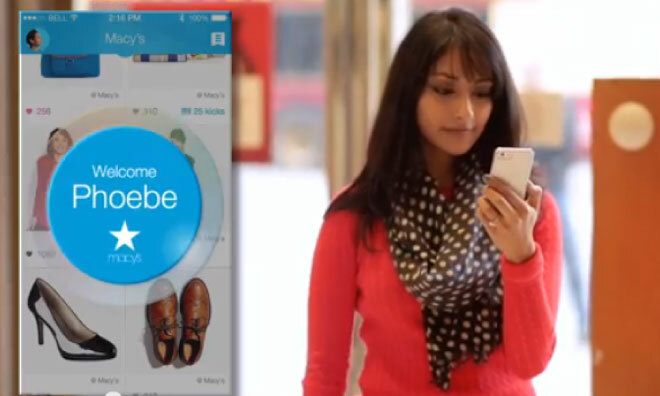 In addition to one-off location-based alerts, Shopkick and Macy's are using the shopBeacons technology to tie customers' at-home shopping with their in-store visits. "If [a customer] "likes" a specific product in the app, shopBeacon can remind her when she enters the store that sells it," according to Shopkick. Shopkick says the shopBeacon hardware, which is encased in a palm-sized enclosure with a rounded dome, can run for up to five years on a single battery. Once the Macy's trial is complete, Shopkick will begin rolling the product out to their other retail partners, with each shopBeacon sporting a price tag of around $40. Other major non-retail organizations have also embraced iBeacons. In September, Major League Baseball announced plans to use iBeacons to enhance fans' experience in the ballpark, demonstrating their long-term goal with a pilot installation at the New York Mets' Citi Field. Apple quietly introduced iBeacons alongside iOS 7 at July's Worldwide Developers Conference, and the Bluetooth Low Energy-based technology was quickly recognized for its potential to revolutionize location services with its low power requirements and ability to precisely pinpoint users' locations inside buildings. Many believe it could form the basis of a new iTunes-powered mobile payments system, similar to what Google has attempted to create with the NFC-based Google Wallet.